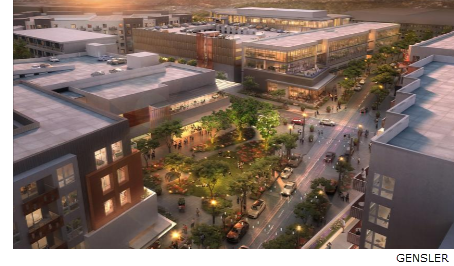 ​​​​​​ AUSTIN – Developers for the Grove at Shoal Creek got a long-awaited stamp of approval for their plans for the mixed-use community. The Grove is expected to have more than 1,500 residential units. Austin's Zoning and Platting Commission approved the preliminary plan and final plat for the dense project envisioned near 45th St. and Bull Creek Rd. In early June 2018, the development team will open the Grove Store at 1818 W. 35th St. for prospective homebuyers. The next steps for the Grove are construction plans to build improvements—a site plan depicting the location of specific facilities—with building permits to follow shortly after. ​Check out Austin Retail and Multifamily Market Research.